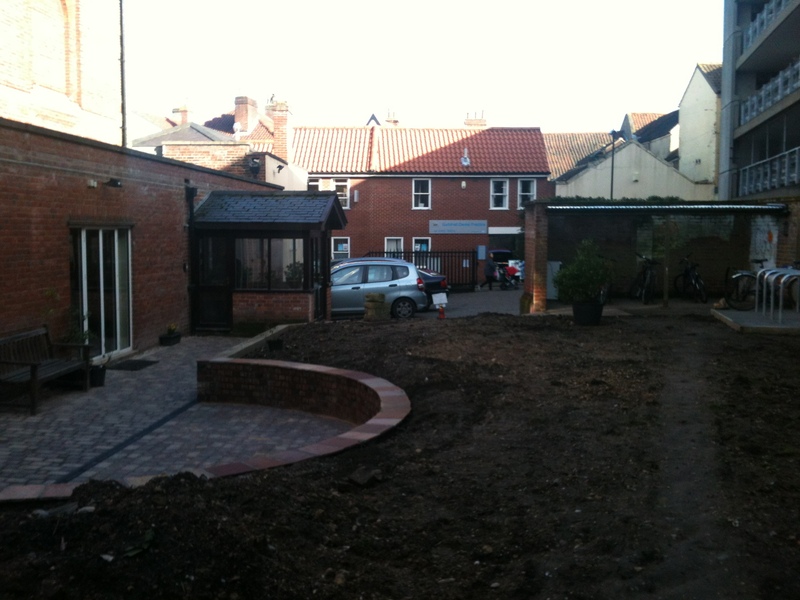 We are transforming the meeting house garden. If you are in Norwich and are looking for a quiet place then come and see the work in progress. The meeting house garden has been transformed, with new bike racks, a fresh lawn and planting and a wonderful relaxed seating area. Join us between 12.30 – 3 pm on Sunday 11 May 2014 for a lunch and fundraising event in the garden. Sloped access for the less able and mobility buggies. Summer cycling & happy days ahead! We have a 1930’s poster style design for a mural to be painted on the inside of the bike shed. 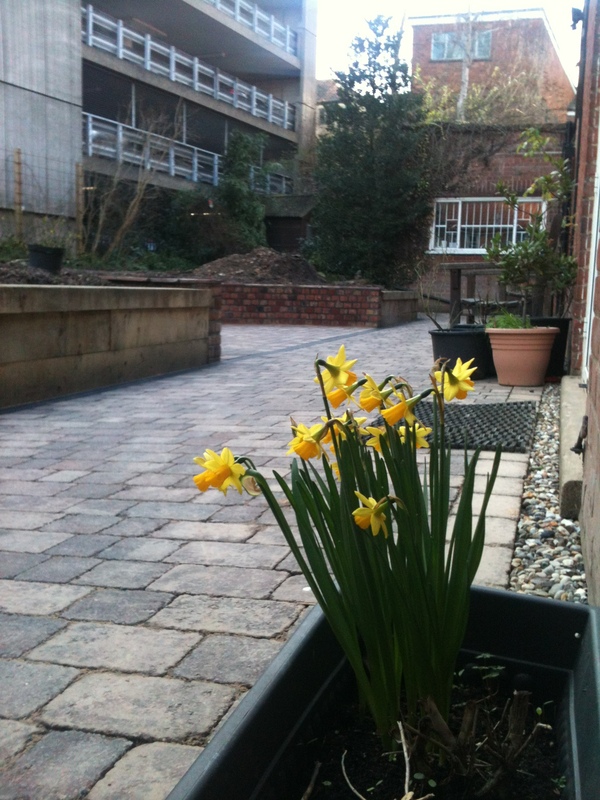 We hope to make the garden available for summer events and for all our user groups and our local community. We still need some funds to finish the project and we need your support. Please pick up a garden leaflet when you visit the meeting house or contact us.